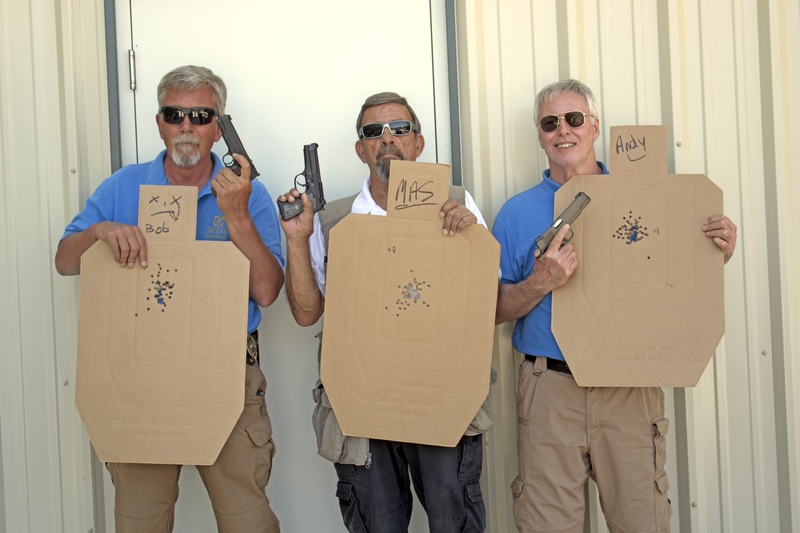 Description: Designed by Bob Houzenga and Andy Kemp as an addition to Massad Ayoob’s LFI curriculum and originally taught as LFI Advanced Handgun Skills, this two-day course is fast paced and demanding, focusing on high speed drills designed to build the optimum blend of speed and accuracy. Ideal for the advanced shooter who wishes to hone and fine-tune his techniques. Novice shooters move up to the next skill level. Emphasis on individual diagnostics and the subtle nuances used by six-time National Champion, Bob Houzenga. From fast and furious, up close shooting, to accuracy work at 25 yards, this program offers students of any skill level, an opportunity to take their skills to the next level. Recoil management for super-fast follow up shots, rapid first shots from the holster, swift engagement of multiple targets, strong and weak hand techniques, “catching the link”, and shooting “out of the notch” are just some of the topics covered. Many students find their speed doubles or triples with better accuracy. 1500 rounds required. Prior formal instruction is a pre-requisite.